There are many Investment options in the dental market. Did you know that selecting the appropriate investment for your case can be a critical decision and there are many outside factors, which can have an unwanted effect on the outcome of your case? Join Craig Pickett, RG, CDT as he discusses the information necessary to select and properly use an investment for your individual application. Craig Pickett, CDT, RG, T.E. 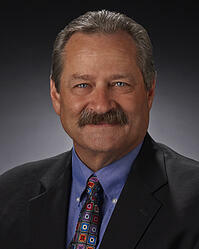 Craig A. Pickett is NBC certified in Crown & Bridge with Technologist designation. A 30 year CDT, Craig is currently Technical Support Manager for Whip Mix Corporation. In 2014, Craig was the recipient of the NADL Excellence in Education Award.